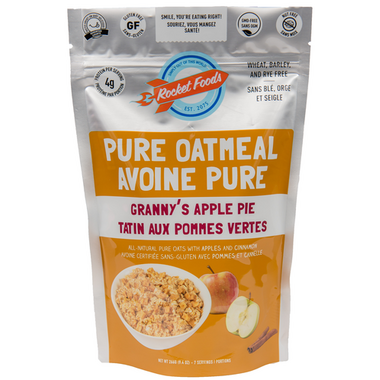 A unique blend of tart apples and cinnamon, blended with a mix of Pure non-gmo Gluten free oats brings you a taste of what grandma would be proud to serve in her kitchen. Get your day started right with Granny’s Apple Pie Oatmeal. Tastes like plain oatmeal. Bland. Tasteless. Even the apple bits are tasteless. 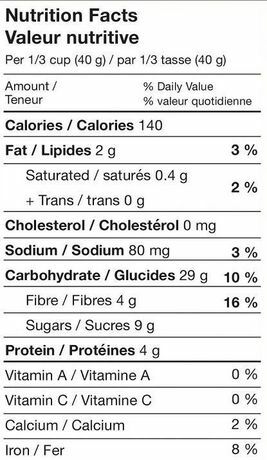 This tastes nothing like apple pie, let alone Grandma's apple pie. In fact, it doesn't taste like anything. While it has a generous amount of dehydrated apple pieces, they don't taste like apple. This oatmeal tastes like bland plain oatmeal which is a huge disappointment especially because it's so expensive. Will not purchase again.